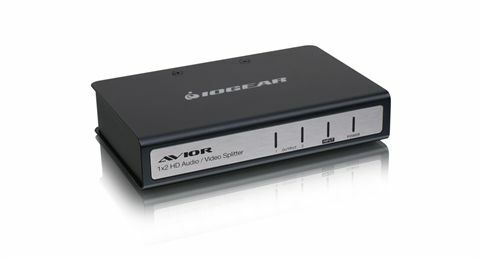 The IOGEAR's 2-Port HDMI Splitter is used to take high definition audio and video from a single HDMI media source and direct it to 2 separate HD TVs, displays or projectors with support for 3D. Being HDCP compliant, the unit is able to support the highest quality HD video and multi-channel digital audio; enabling the splitting of HD content from DVR / Set-top boxes, Blu-ray players, Media servers and other HD or non HD devices. Distribute Full HD 1080p (24/60Hz) or your 3D content with multi-channel digital audio and 12-bit Deep Color. 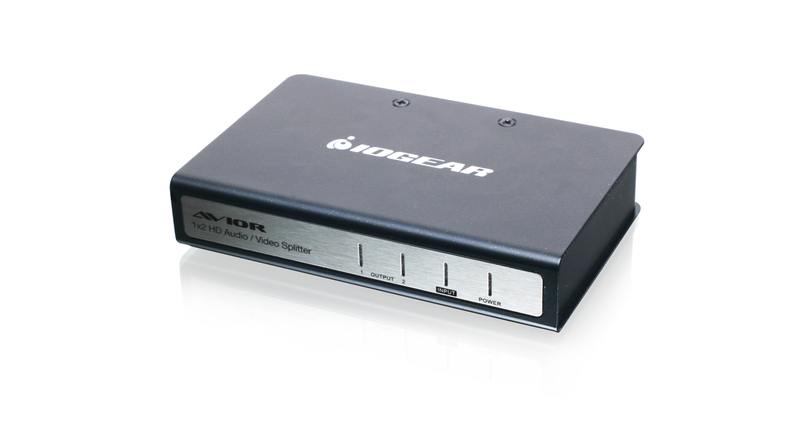 The IOGEAR 2-Port HDMI Splitter can cascade up to 3 levels supporting up to 8 HDMI signals. Cascading distance from source to device 6ft, device to device 50ft and device to display 65ft; makes a total of 121ft through cascading. * Note: For HD media sources that support auto video resolution scaling. If your media content is HDCP enabled, the splitters will only support up to the maximum HDCP keys that are available (127 keys). 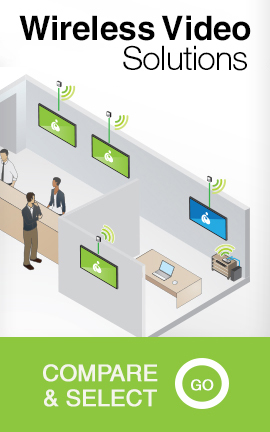 In other words, with HDCP enabled content, the splitters can support up to 127 displays. 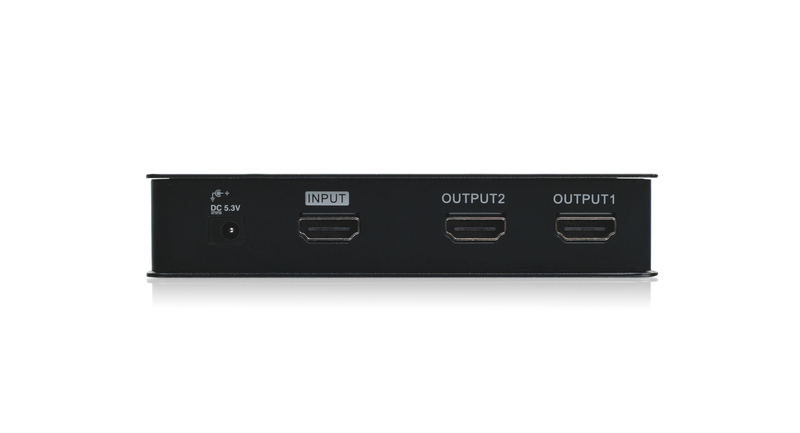 If your media content is not HDCP enabled, then the splitters can support the full three-level cascade (8 displays).